In a discouraging article, "Islamist Threats To Dutch Politician Bring Chill at Home," Andrew Higgins reviews in the Wall Street Journal today how Ayaan Hirsi Ali got evicted from her government-supplied luxury apartment in the Hague. The then-Dutch parliamentarian of Somali origins, 36, who speaks out against Islam, had to vacate her apartment to protect – get this – the "human rights" of her neighbors. Ms. Hirsi Ali ‘s new neighbors, meanwhile, started to panic. They complained about security guards blocking the elevator and harassing visitors, and about traffic snarls whenever Ms. Hirsi Ali and her security escorts entered their underground parking garage. At a meeting in April last year with a counterterrorism official in a hotel, they angrily criticized the government for bringing danger into their lives and demanded that independent experts review the risk of having Ms. Hirsi Ali as a neighbor. When the government refused to budge, the apartment owners hired a lawyer. A second meeting failed to resolve the standoff. The owners hired security consultants at the Dutch branch of accounting firm Ernst & Young LLP to assess whether Ms. Hirsi Ali might put them all in danger. News of Ms. Hirsi Ali's arrival spread. … In June 2005, Ernst & Young's security advisers presented their report to [Ger Verhagen, a retired executive who lived two floors above Hirsi Ali] and other apartment owners. The report rated as "high" the risk in having a "high-security residence" in the building, says Mr. Verhagen. "The conclusion was clear: The government made the wrong choice," he says. Ernst & Young confirmed his account of the findings. Mr. Verhagen ordered his five grandchildren to stop visiting. "I felt unsafe in my own home," he says. 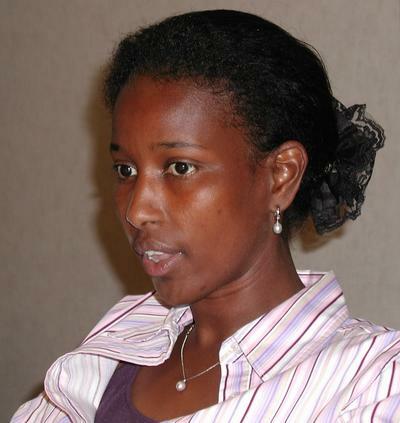 Eleven of 14 apartment owners backed taking legal action to oust Ms. Hirsi Ali. The politician says she received messages from dissenting owners saying they supported her. In a suit filed late last year, the owners claimed that their security fears, the disruption caused by Ms. Hirsi Ali ‘s bodyguards and the likely damage to property values violated Article 8 of the European Convention on Human Rights, which guarantees "respect for private and family life" and the home, and bars "interference by a public authority." The government fought the claim, arguing that the tight security had made the building among the safest in The Hague. It also offered unspecified compensation to offset financial damage. An initial ruling last November went against the owners. Eight of the eleven, determined to get rid of Ms. Hirsi Ali, pressed on. In an April 27 ruling, an appeals court rejected the argument that the risk of declining property values and the long waits for the elevator constituted a violation of human rights. But citing the murder of Mr. van Gogh and threats against Ms. Hirsi Ali, the court ruled that the "more than negligibly small risk" of a terrorist attack violated the European Convention on Human Rights. Although it acknowledged that finding Ms. Hirsi Ali another shelter would be "unquestionably hard," it nonetheless ordered her to move out within four months.